There’s a growing concept of taxi mobile App development. Entrepreneurs are trying to develop a taxi app like Uber. Uber taxi app is used by many people to book a taxi which is developed by Garrett Camp and Travis Kalanick. Reports say that Uber has approx 80 million users. People of more than 77 countries use it. The service provided by Uber is 35 to 50% cheaper than other taxies. It is more comfortable and faster. 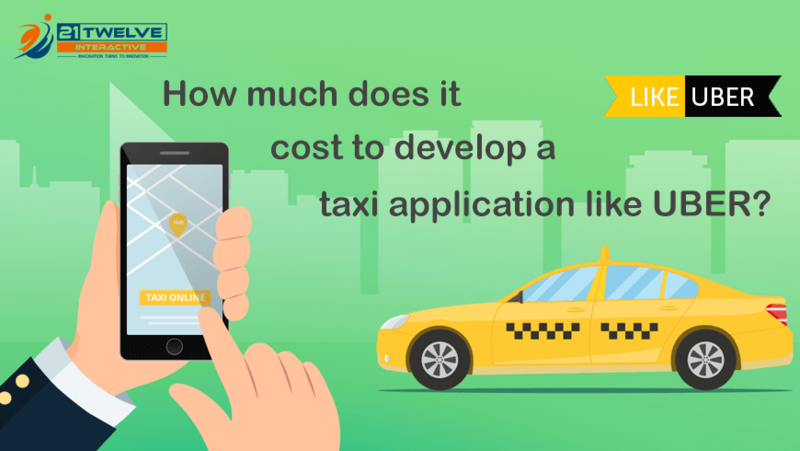 It is not possible to estimate the exact cost of developing a taxi app like Uber because it depends on many things. Uber has disclosed its API to other app developers. Firstly you need to have your own server. It is a must in order to tackle a number of user requests. You can use various programming languages for the backend. Python and Java are popularly used. You have to have a GPS. Use tools that are applicable in android too. Take help from any Android App development company. Your app should have multiple payment options. You have to have a platform to develop a taxi app. You can choose either iOS or Android. The taxi app cost for Android is not too much. The taxi app developers will have to develop two different apps the one for passengers and the one for drivers. Passenger app is for people who ride in the cab. They are the ones who book the cab. You have to ask your people to log in. They can use their email for the same. There should be an option for payment. There should be a separate space or passengers to book the cab. Your passengers should get a chance to choose drivers as per their wish. Develop an option to track any particular driver’s location. The passengers get benefitted because of Uber cost calculator Use user-friendly payment options. Keep on notifying your users. Have a good messaging option. Allow your users to rate your app. Ask them to give feedback. Driver app is for people who drive the cab. They are the ones who get orders and take the passenger to the destination. You have to ask drivers to register themselves first. They should have a verification number. They should get an option to either accept the order or deny. They should be able to see customer location and destination. It will be helpful if you add booking history too. Notify your drivers about the orders, location, payment and also reviews. Use Google Maps to get the location. Allow your drivers to estimate the cost in advance. Apps like Uber have a central point to control each and everything. It is obvious that you will get the number of orders. Develop an app in such a way that you take care of each and everything properly. How much to develop an app like Uber? Considering everything, the cost comes around $30,000 – $35,000 approximately. For a specific platform like iOS and Android, It costs around $10,000 to $15,0000 approximately per platform but still, it is not 100% feasible to estimate a cost to build an app. Given below is the working of Uber. It will help you in getting an idea of all the requisites of the app. Firstly the passenger has to send a booking request first. It will navigate the request to the nearest director. Then the driver has to accept the offer. This will lead to the creation of a connection between both the parties. The app will show all the details about the driver to the customer and vice-versa. When the destination is reached, the payment will be done by the customer. The passenger has to register himself in the app. Uber allows its customers to make payments through cards. The passengers themselves can calculate the fare of their ride in advance. Uber gives the option to their passengers to track the coming cab. It uses GPS services for it. It constantly notifies its drivers and passengers. It shows the booking history of the driver. Passengers rate their driver after the ride is over. There is an option to update personal information too. So, all in all, it offers huge comfort to the public. Every driver has to register himself first. It is done to make sure that the passenger gets details about the driver. Every driver has to notify the app. He has to respond to all the orders. He can deny the order or he can accept it. The driver has to confirm passenger’s request if he s available. He has to have a check on his earnings. He should know about the places he went and also the amount he earned. The app keeps on notifying the driver. Uber has an admin dashboard. It is a web-based tool that is used to manage drivers’ and passengers’ accounts. It incurs many other expenses. It pays to ensure quality. Reposts say that Uber spends more than 15% to maintain its quality. Uber pays 10% of the earnings for project management and 5% to make changes in the app. The Uber app development cost very high. To spend on Uber-like apps, try to know their customer base first. You have to devote time, energy and money in taxi mobile app development.